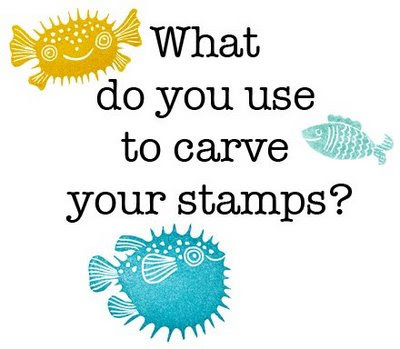 This is probably the question I'm asked the most. 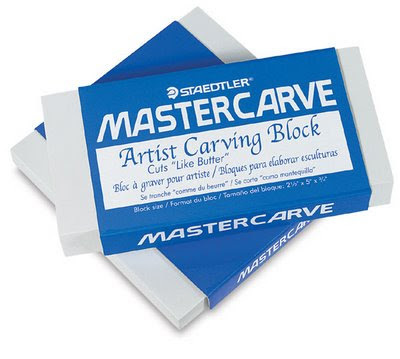 This is my favorite carving block to make stamps. This tool is called a linoleum cutter. 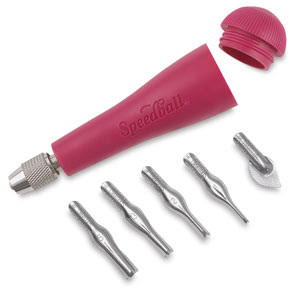 I use one made by Speedball.